“Playing Hard”, a docu-movie that went behind-the-scenes as Ubisoft developed For Honor, has come to Netflix in the UK. Describing the movie as giving “unprecedented access to a highly secret world” of “the biggest entertainment industry in the world”, the documentary follows the creation of the game For Honor across a four-year period. “As the production team grows from 40 to 500 people, we witness the human theatre involved in creating and launching a major video game,” the video description states. “In the world’s biggest video game studio, a constantly growing team works on the creation of For Honor, a game that stages an epic war between Vikings, knights, and samurai. Like the game’s characters, the main creators will face adversity that will take their personal lives to the breaking point. Even if you’re not especially invested in For Honor, it’s a fascinating insight into how a video game moves from merely an idea to a fully realised product. Interestingly, the website details that part-way through the project “the director’s access to For Honor’s production floor was revoked” and it took “many months and discussions for Ubisoft to reverse its decision and give the documentary’s production team carte blanche”. 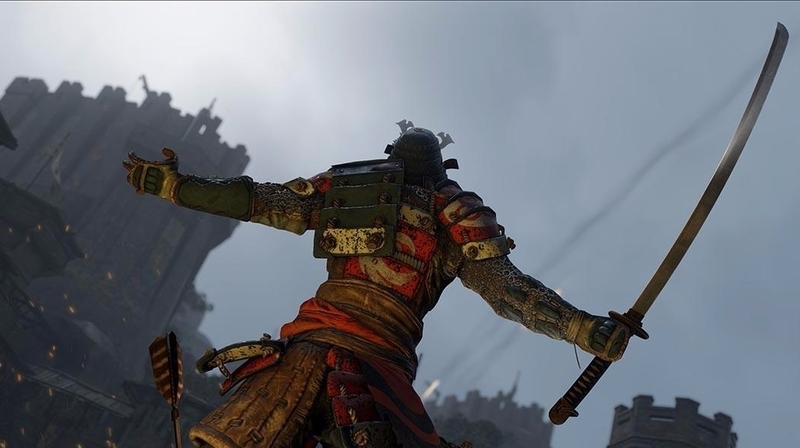 Ubisoft’s third year of content for multiplayer melee fighter For Honor is now underway on Xbox One, PS4, and PC, bringing with it a new hero, a new map, and more. According to Ubisoft’s recent deep dive video, the Year of the Harbinger (as this third year is known) will be “doing things a little differently”, featuring a somewhat darker tone than usual. Year 3 will, once again, consist of four “seasons” spread throughout 2019, with the first and current season, Vortiger, set to run until the end of April.